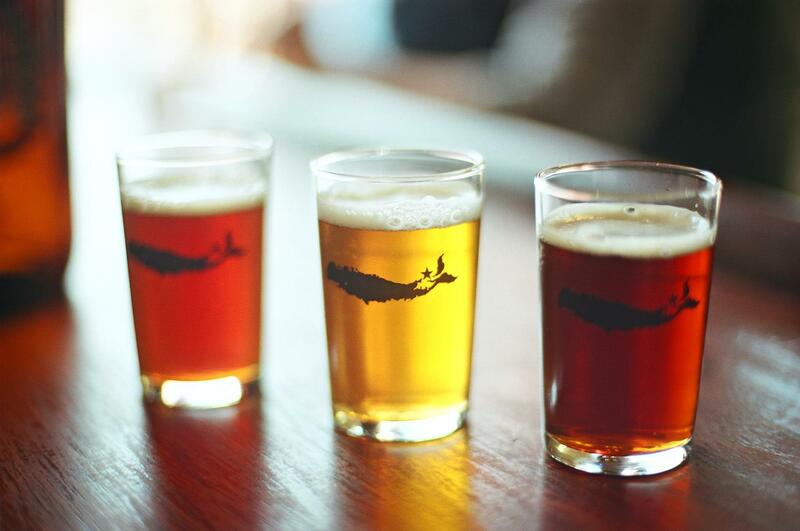 College friends, John Liegey and Rich Vandenburgh, always had a penchant for craft beer. After having successful careers in advertising and law, they decided to open up a brewery together. The original space, nestled away in Greenport, is in an old Firehouse and the newer, larger location in Peconic, is right in the middle of wine country. As a farm brewery, this duo thrives on using locally sourced ingredients and plans to up the ante with their new restaurant opening in November. I’ve been to the Greenport location several times, but I’ve never been to Peconic. How do the two tasting rooms differ? Vandenburgh: Being right in the village, the Greenport location is a walking destination. It’s the original space and is a cozy, tucked away little spot. It’s just a few hundred feet from an art gallery, great restaurants and little shops, so there’s a real warmth and intimacy out there. 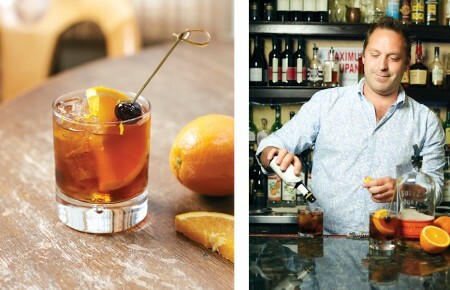 Peconic is right in the heart of wine country, so it’s definitely different. There’s an acre and a half of lawn, so people can really gather there. A few weeks ago, it was packed with kids and families kicking soccer balls and running around, playing corn hole, having fun–it’s a more festive kind of attitude there. Why did you guys decide to open up a restaurant? 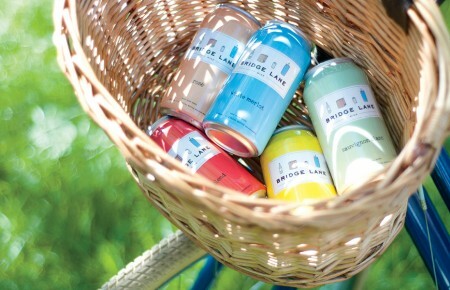 Liegey: The experience of beer for 90 percent of the United States is a mass-produced, fizzy, yellow beer. For us, that’s not the world we live in. We wanted to create a bunch of different engagements that lift up the beer and put it front and center. With the restaurant, we will have the ability to do pairings and use locally sourced produce and proteins. There are a lot of different things you can pair with beer that are going to taste so complimentary to the food you’re eating. Initially, while we’re getting the kitchen open, it will be a heightened food truck experience. Then, for the grand opening in the spring, we’ll unveil our finished menu. It’s apple and pumpkin picking time out there. How does this affect your business? Vandenburgh: You can’t make a left. (Laughs) It’s interesting. It’s our second full year and it’s amazing how it changes season to season. The summer crowds are great, but come fall, the energy gets more intense. The fall is full of harvest festivals, apple and pumpkin picking and you get crazy crowds on the weekend. It’s definitely exciting and full of high fueled energy. That’s why all of the locals wait to come out on Trivia Wednesdays when it’s a bit more calm. Liegey: We have eight taps in Greenport and we’re doing an OG (Original Greenport) series, which will be featured there. They will be esoteric, one-offs–anything from an unfiltered double IPA to a botanical Saison with locally grown lavender and hibiscus, as well as barrel aged beers. You’ll have four lines of experimental beers plus our four core beers–Otherside IPA, Harbor Ale, Black Duck Porter and Leaf Pile. At Peconic, which is much larger and a bigger place with more people, we’ll roll out our core beers. Then to get some German beers in there for Octoberfest, we did three German styles–a black lager Schwarzbier, an Octoberfest, and a Kellerbier. The OG series will usually show up in Peconic about a month later, but the introduction and main time on the stage will be in Greenport. You must each have a favorite. So tell me, what is your favorite beer from your brewery and why? Vandenburgh: I’m definitely an IPA guy. I’m a bit of a Hop Head. So I guess I would have to say that Otherside IPA is my favorite. What I enjoy the most about it is that it has a great balance between the malt and the hop side. We also brew another beer, Sticky Lever, that lives in the same space. Hopnami, our Double IPA, also has an amazing hop profile to it. Everyone always jokes that when I walk into the tasting room, odds are if there’s a beer in my hand, it’s Otherside. Liegey: For me, its whatever we just released. I jump on it because in one sense, it’s a beer that I haven’t been drinking, and on the flip side, I know it’s not going to be there very long. It might be a one off and if I don’t have it right now, I might not get it for awhile. So I usually go for whatever the newest beer that we have is. 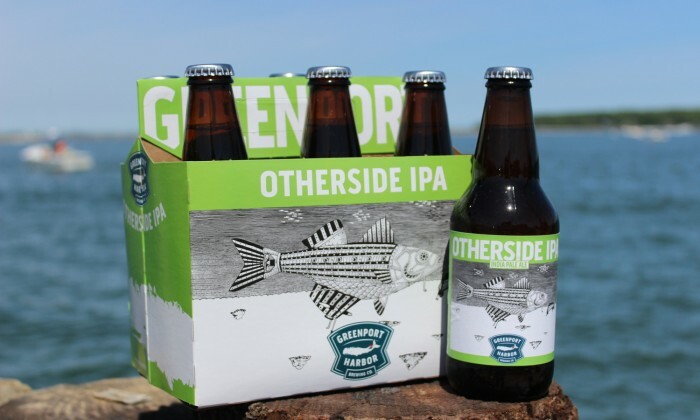 Greenport Harbor Brewing Company is located at 234 Carpenter Street, Greenport, NY and 42155 Main Road, Peconic, NY.